If you’re looking for a new mobile game to play this weekend, there are plenty of new options for you to try, including Grimm: Cards of Fate from Midverse Studios and EverDead Studios. Based on the NBC television series Grimm, the card collection game allows players to complete quests based on episodes from the show. In addition, Hasbro, Backflip Studios and Space Ape Games released Transformers: Earth Wars this week. The base-building combat game allows players to support either the Autobots or the Decepticons, and recruit Transformers to take into battles. 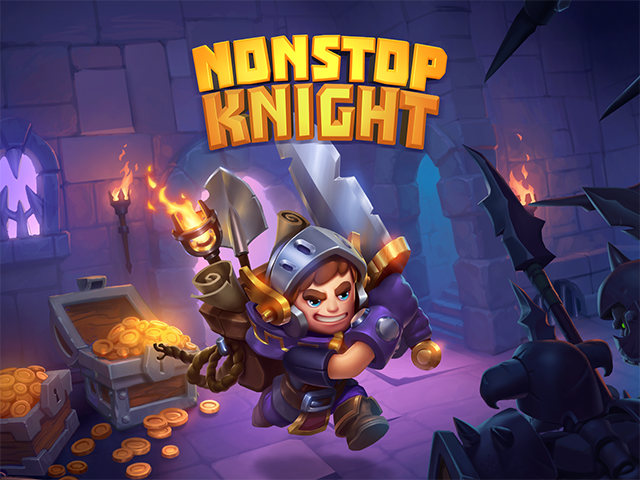 Nonstop Knight (Free on iOS, Android) – This idle game from flaregames and Kopla Games asks players to help a knight complete level-based dungeons. The knight will move and attack nearby enemies automatically, leaving players to tap on buttons to activate his or her skills. Players collect coins as they defeat enemies, which can be spent on upgrades for their character’s equipment, making him or her stronger over time. Users will also collect additional equipment as they progress, and they can sell items they no longer want. Since the knight will attack enemies automatically, players can earn coins and clear floors even when they’re away from the game. Pixel Cup Soccer 16 ($2.99 on iOS) – This soccer game from Batovi Games Studio offers play modes for friendly matches, competitions and penalty kicks, with supported competitions including the World Cup, the Women’s World Cup, Copa América Centenario 2016 and more. During games, users move their players and tap buttons to shoot, pass and slide tackle. Users can compete against the computer, or take on other users in player-vs-player matches. The game also includes a party mode in competitions. Overall, the game includes 18 stadiums, and it supports different weather conditions while playing. Pixel Cup Soccer 16 is also available on Apple TV. Ketchapp Basketball (Free on iOS, Android) – This endless basketball game from Ketchapp and Estoty asks players to swipe to shoot basketballs at hoops. The ball may start in a different position on each shot, and the basket can also move around the screen during games. Games ends when players miss a shot. Users can collect stars as they play, which can be spent on different ball designs. In addition to the game’s endless mode, users can play in time challenge, bounce and multi hoops modes. Skywalk (Free on iOS) – This endless survival game from BoomBit challenges players to tap at the right time to move their ball from one platform to the next on the screen. The ball moves across each platform automatically, and players must tap before it falls off of a platform. Gamers can collect gems as they play, which can be spent on new ball designs. Skywalk offers local multiplayer on Apple TV. Walls & Balls (Free on iOS) – This endless survival game from The Frosty Pop Corps asks players to help a moving ball reach holes on the screen by drawing walls to direct its movement. Players must prevent the ball from moving off of the screen, and must also avoid blocking holes with the lines they draw. Games end when players allow the ball to leave the screen. Candidate Crunch (Free on iOS, Android) – This political game from Urthworx was launched in partnership with DoSomething.org and Rock the Vote. The game allows users to select a candidate from the 2016 U.S. presidential campaign and challenges them to protect the candidate by tapping to destroy items falling from the top of the screen. The closer the object gets to the candidate before players tap, the more points they earn. Games end when players let an object crush the candidate. Players can collect coins as they play, which can be spent on a voting machine to win new random candidates. The game offers standard versions of Donald Trump, Hillary Clinton, Bernie Sanders, Ted Cruz, Marco Rubio, John Kasich, Ben Carson and Jeb Bush, as well as versions of these candidates in costumes. Players can purchase many characters instantly via in-app purchase, while some are only available through the voting machine. Outside of gameplay, the app offers an ‘Election Central,’ which includes links for users to register to vote, find their polling places and more. In addition to these new releases, Trese Brothers Games released a free demo version of Templar Battleforce on iOS and Android. Users can upgrade to the full version of the game for $9.99 via in-app purchase. The game’s standard premium version is also available for $9.99 on iOS and Android. Finally, DeNA released Monster Builder for free on iOS. The game was previously released on Android.